In and of itself, the phrase "room with a view" has lost much of its luster over the years, thanks to some unscrupulous hoteliers and landlords who use it so loosely that it guarantees little more than a room with one or more windows. 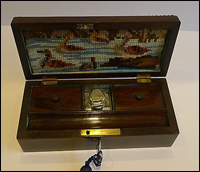 If you enjoy travelling and you enjoy antiques, then you may find the two extremely compatible. We’re weeks away from spring now and our minds turn quickly to the thought of holidays, and that all important mini break from work before the longer summer vacation. Collecting travel paraphernalia can range from travel chests to atlases, from travel watches to posters. You can take them with you, or admire them when you get back from your own travels. We’ve touched on the topic of Valentine’s Day once before and if you’re still struggling with gift ideas then perhaps you can be tempted with a piece of artwork. Valentine’s Day sees an awful lot of cringeworthy cards, with crass pictures and crude messages. Chocolates and cake are all very well, but with Easter coming and Christmas just behind us there may be too much emphasis on consumption. Art can represent love so profoundly and in a myriad of different ways. Art down the ages has given us a gamut of different emotions from love to lust, from anxiety to devotion, from uncertainty to innocence. From lust to love art work from down the ages has expressed love more profoundly than any other. Love has been captured beautifully down through the centuries and the examples below are some of the best. Valentine’s Day will be with us once again and yes, over the coming weeks you’re going to be inundated with advice on how to celebrate, what to buy, even what to wear from just about everyone who thinks they’re qualified to do so. Some of it makes sense, some of it doesn’t, but if there’s one thing you do this Valentine’s Day, that’s to just do it your way regardless of everyone else’s advice, except when it comes to art. What does art do for us? What does it do for the community? Depending on where you live there may be many pieces of art you’ve walked past and barely noticed. Most of the art we come across in public will be in the form of sculpture. They can fascinate or repel us, but when we do see them they get us talking and thinking. Modern sculpture started with Rodin and was a response to the rapid changes brought about by the 19th century, changes which included social, secular and urban. The world would see the birth of Cubism, Dadaism and Surrealism that would challenge what we would see as art. 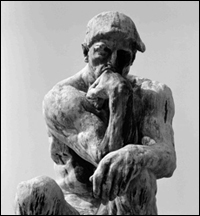 From Rodin’s first exhibition in Paris modern, sculpture transformed the artistic landscape. From here on in nothing would be the same again.